Thank you once again for providing us with a memorable and personable experience. We always wish we could stay longer and your banana nut pancakes were yummy! We appreciate and enjoy all your special touches. See you again soon! L. & S. J. It's obvious that you are enthusiastic about what you do and enjoy it because your attention to detail and willingness to serve make the experience of staying here an enjoyable one primarily because we feel important to you and therefore well taken care of. I think you know how to be successful. Thanks. A.J. & D.D. 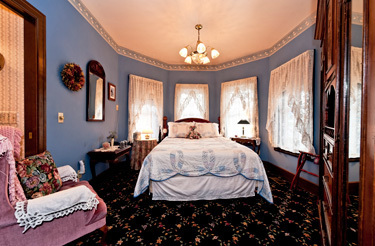 The Anchorage Inn Bed and Breakfast is a new Victorian Inn, located on beautiful Whidbey Island, in Puget Sound, Washington. 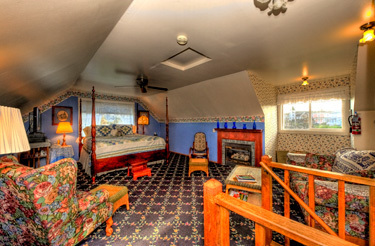 The Anchorage Inn is located in the historic town of Coupeville, overlooking picturesque Penn Cove. Coupeville was home to many of the Northwest's sea captains during the late nineteenth and early twentieth centuries. Many historic homes still grace the streets of this North Whidbey town. 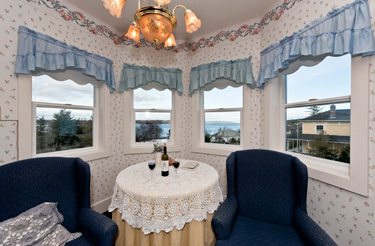 The majority of the seven lavishly appointed rooms provide splendid views of the cove, waterfront buildings, rolling hills on Whidbey Island, nearby Camano Island, and 10,700 foot Mt. Baker. 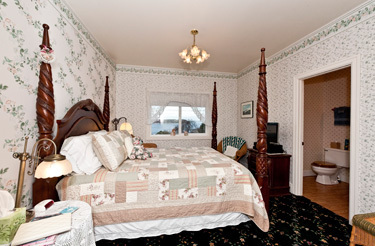 There is much to do while you are enjoying your stay on Whidbey Island including bicycling, hiking, bird watching, boating, fishing, exploring gardens, horseback riding, visiting parks, and shopping. Other nearby attractions and activities include kayaking, visiting Deception Pass Bridge and State Park, Ebey's Landing National Historic Reserve, Whidbey Tours, Mariti Chocolate Company, and Meerkerk Rhododendron Gardens.